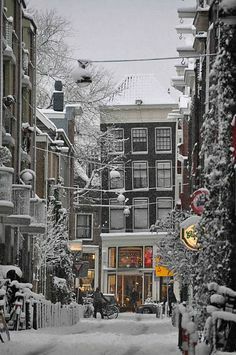 Amsterdam is surrounded by tulip fields, fishing villages, nice provincial towns and much more. 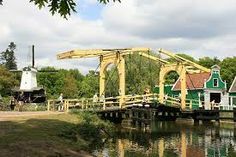 On this page you will find an overview of the best things to do on a daytrip. Most of the daytrips are only an hours drive away from Amsterdam. 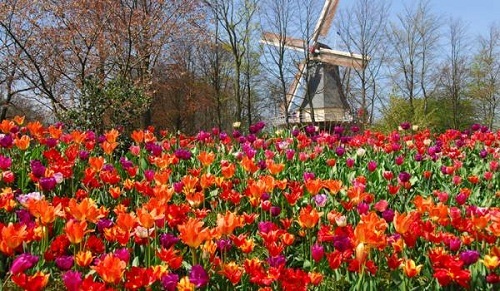 The Keukenhof is the most famous flower park in the world. This is where you will find the flowers that influenced Dutch culture so much like Tulips and Crocuses. This is not just a park. The Keukenhof is best known for its yearly spring International Flower Exhibition. It also has a beautiful mansion where you can stay at night. Most people visit the Keukenhof as a daytrip from Amsterdam. 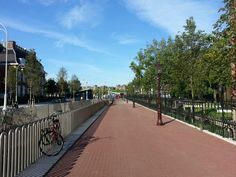 It is located in Lisse which is about an hours drive. More info and tickets to the Keukenhof here. Volendam and Marken are two authentic fishing villages which are typically visited in combination during a daytrip from Amsterdam. After a short drive in the typical Dutch landscape you arrive in Volendam. This place has a lot to offer for tourists and is probably the most commercial of the two. After the pituresque Volendam you take a short drive to Marken. This village captures Dutch culture of centuries ago in an astonishing way. Old wooden houses and the like. 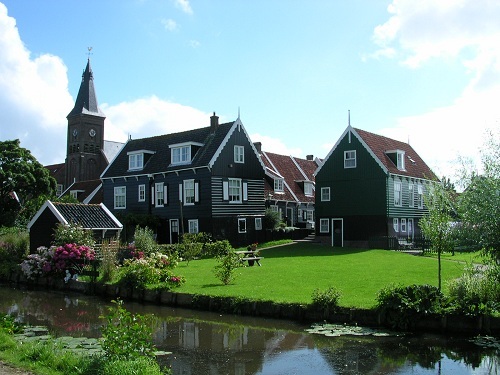 Get more info and tickets for daytrips to Marken and Volendam. If you want to see what Dutch life as like in the 17th and 18th centuries, you must go to the Zaanse Schans. This place is only a short drive away from Amsterdam. It has some beautiful windmills next to the river the Zaan. 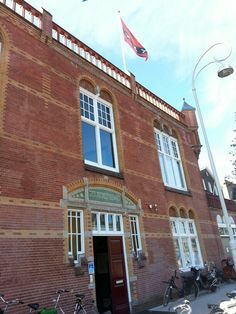 There is also a museum within a typical Dutch village that takes you back in time. 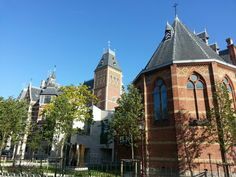 A must do daytrip if you want to know more about the history of the Netherlands. 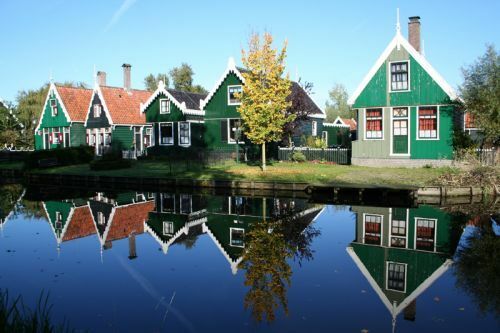 Get more info and tickets to the Zaanse Schans here. The windmills of the Zaanse Schans are amongst the most promintent in the Netherlands. 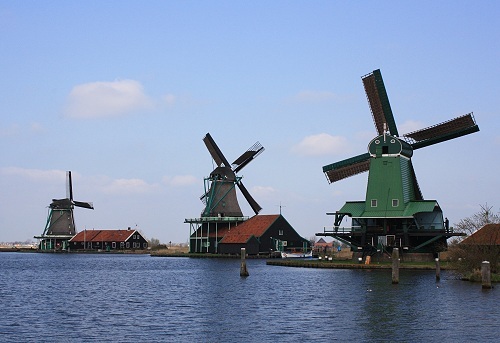 The are 6 mills in total located directly on the Zaanse Schans. Two oil mills, a mustard mill, a paint mill and two saw mills. The Zaanse Schans is free of charge. Some of the attractions and the guided tours do cost money. There are also boat tours available. It is open from 9:00 to 17:00. The Hague is the third largest city in the Netherlands and boasts many international organisations such as the ICC (International Criminal Court) and Europol. 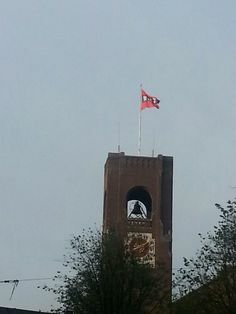 It is also the seat of the Dutch Government. You can dwell on the Binnenhof where the Dutch Parliament is located. This ancient castle like structure is by itself worth the trip. But The Hague has much more to offer. The city centre is a combination of modern skyscrapers with old buildings and bronze statues. The city is located just short of an hours drive by car or by train.